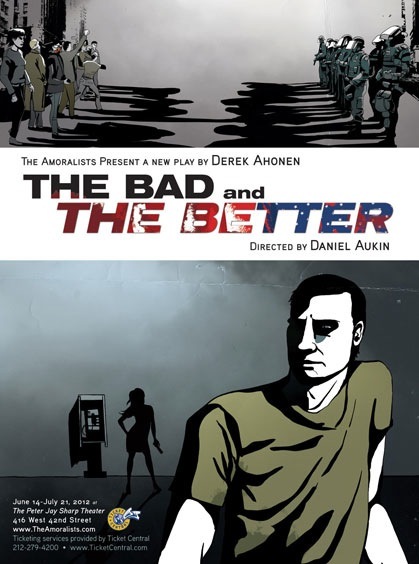 The streets are filled with shady politicians and rebel-rousing anarchists in Derek Ahonen’s new play, The Bad and the Better, which begins performances at the Peter Jay Sharp Theater on June 14. In anticipation of the new detective noir, Stage Rush asked some of the fearless cast members about rolling with The Amoralists, admiring rebels, and shooting firearms. Here’s what they had to say! 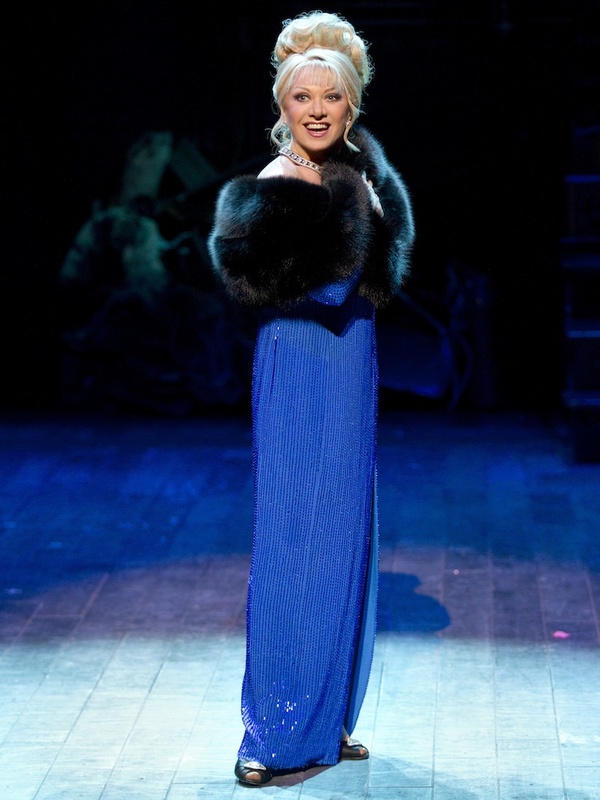 On May 1, Elaine Paige, the actress who originated the roles of Eva Peron in Evita and Grizabella in Cats could likely be nominated for her first Tony Award. Despite a lauded stage career that goes back nearly 45 years, the British actress has only been on Broadway twice (and not in those shows), having done most of her work in London’s West End. Her Broadway debut was in Sunset Boulevard, and although she played the lead role of Norma Desmond, she was ineligible for a Tony nomination, as she was a replacement. However, her return to Broadway last fall as the saucy stage and film star Carlotta who belts out “I’m Still Here” in the revival of Follies has her on everyone’s frontrunner list for a nod for Best Featured Actress in a Musical. As she readied to begin rehearsals for Follies’ Los Angeles run, Paige telephoned Stage Rush to discuss chumming it up with her Follies costars, being Andrew Lloyd Webber’s go-to gal, and what a Tony nomination would mean to her. You’ve taken this show to three locations now. How does that feel? Here we are in LA for the third and final installment. It’s extraordinary. It feels like we’re on tour, really. It’s all very unexpected, of course, because initially it was just going to be in Washington, DC. To then be told we were going to New York was a wonderful surprise. Now to be here in LA is even better. It keeps on rolling. What’s going on with this production? Has anything different? How’s it going with Victoria Clark, who is replacing Bernadette Peters? I haven’t yet started rehearsals; I start on Friday. One thing I know is different is that the leading lady, Bernadette Peters, is not in this production out here. It’s a young lady by the name of Victoria Clark, who I’ve yet to meet. That will make a different complexion on the piece. Sometimes when somebody new comes into something, I think that could be a breath of fresh air. The energy at Joe’s Pub was infectious on April 9 as the short-lived, but much loved, Lysistrata Jones cast performed their Class Reunion concert. 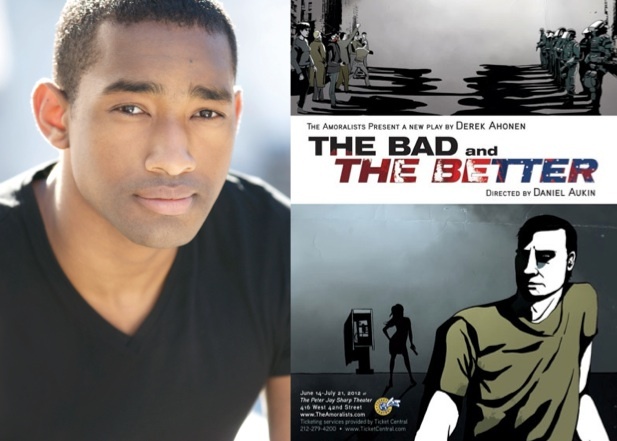 The quirky Douglas Carter Beane musical, a modern-day musical adaptation of Aristophanes’ Lysistrata, played only 30 performances on Broadway, but was in fine shape taking to the stage one last time three months after closing. Joe’s Pub’s intimate setting made for an exciting opportunity to hear Lewis Flinn’s score, which will be preserved on a cast recording set for release on May 15. 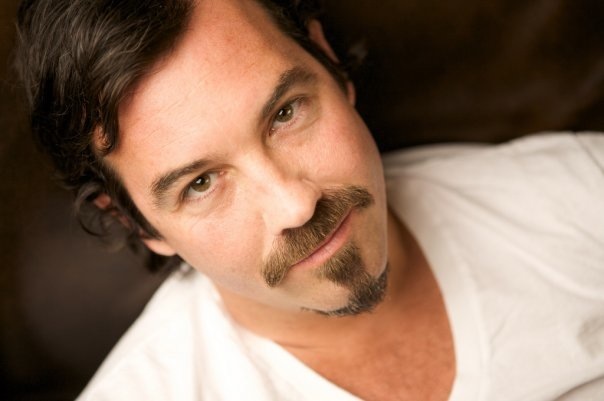 Book writer Beane hosted the evening, interjecting his sharp wit in between the performances. 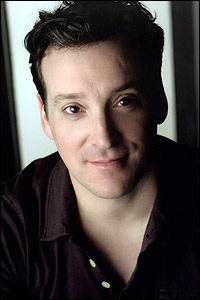 Three of the original Broadway cast members were unable to attend, due to scheduling conflicts. Most noticeably absent was Lysistrata Jones herself, Patti Murin who is filming a pilot in Los Angeles. Teddy Toye (Harold) and Alexander Aguilar (‘Uardo) were also unavailable for the event. 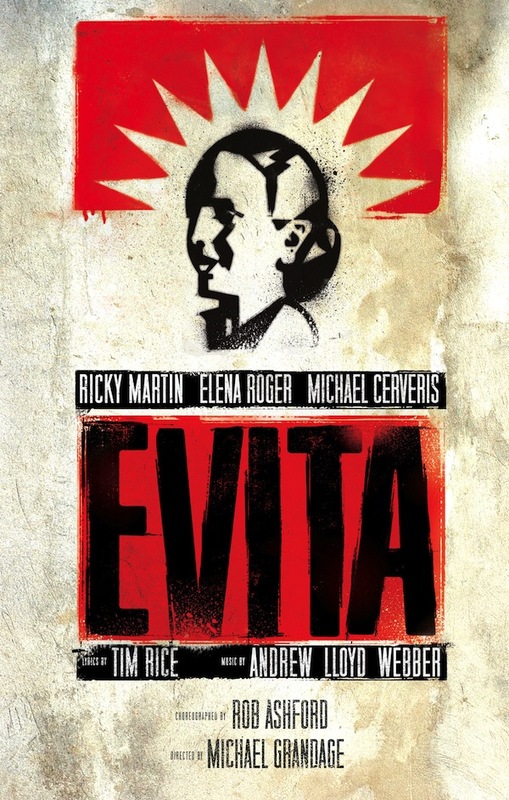 Evita hasn’t been seen on Broadway in over 30 years, but this Andrew Lloyd Webber classic is making up for it now with a grand-scale revival starring Ricky Martin, Elena Roger, and Michael Cerveris. Roger, who is Argentinian herself, portrays the controversial first lady of Argentina through her humble beginnings as a commoner, rising to become the internationally famous wife of President Juan Peron, to her early death from cancer. The only thing better than an improv show is an improv show with Jim Henson puppets, right? That’s why Stuffed and Unstrung exists. Featuring six comedians and over 80 puppets, Stuffed and Unstrung is an R-rated comedy show of storytelling, songs, and skits where the audience dictates what the puppets and comedians act out. Produced by Henson Alternative (the adult division of The Jim Henson Company), Stuffed and Unstrung is the chance to reunite with the puppets that we grew up with… and discover that they’ve grown up too. Typically, my theater experiences are sequestered to Broadway and New York. However, on April 13, I will be traveling to Princeton, New Jersey to see Stuffed and Unstrung at the McCarter Theatre. I first saw Stuffed and Unstrung when it played a (criminally) brief off-Broadway run at the Union Square Theater in April 2010. It officially ranks as the funniest live show I have ever seen. The jokes were fresh, biting, and always pushing the envelope of decency. The acting was nuanced, original, and adorable. Perhaps the most surprising aspect of the night was that the audience members called on stage were somehow just as funny as the performers in their awkward stories and prompt suggestions. If you want to join me at the McCarter Theater for Stuffed and Unstrung, Stage Rush is giving you a special promotional code to get tickets for $25. Use the word “Stuffed” when buying tickets online at McCarter.org or by calling (609) 258-2787. Student tickets with a valid ID are also available at $15. It is not a happy time for the “Get Happy” singer. 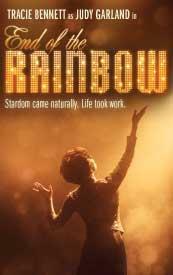 In the new play End of the Rainbow, Tracie Bennett plays the unraveling Judy Garland, just six months before her fatal overdose. The famous singer and actress is in London with her piano accompanist and fiancé (this will be marriage no. 5) and barely well enough to perform the series of concerts for which she is contracted. 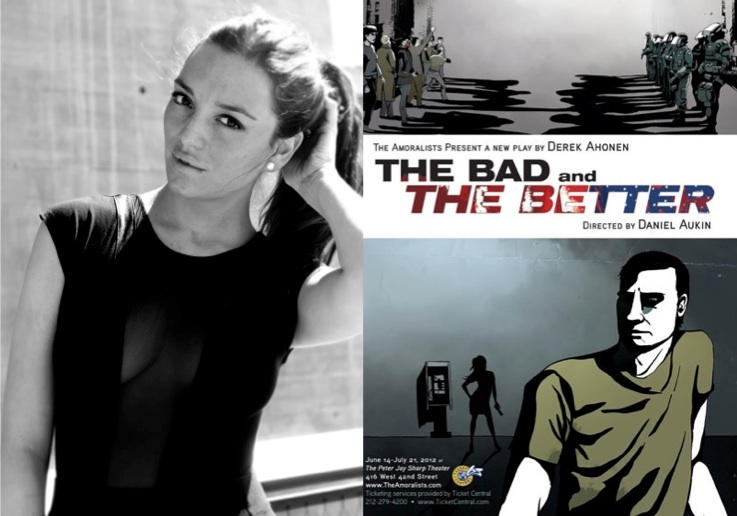 Prescription drugs and booze leave her unable to perform, performing leaves her craving prescription drugs and booze, and the two men overseeing her are left scrambling to pick up the pieces of her disintegrating life and career.